A perfect swing, a forceful hit, more power and speed, or increased durability! What are you searching in the best BBCOR bats this year? 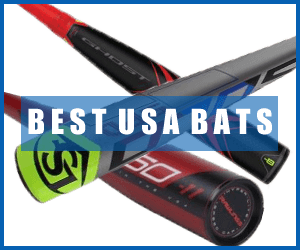 Searching everywhere, I have extracted the list of best BBCOR baseball bats for 2019 that will help your youth player to play better and improve the overall performance. Make your player shine in every game with these bats. 2019 brings so many amazing additions in the former list of the best BBCOR baseball bats. I have selected carefully my top 7. In this list, every bat is unique with it. Maximum barrel performance s best quality. They all provide the mean to enjoy the perfect game for every hitter. 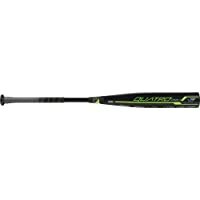 stiffer handle layup design, and reduced vibration, this Easton baseball bat is the best bat for power hitters. The Easton has created a new barrel layup design that offers maximum barrel performance with optimized balance point. It has a two-piece construction having the barrel and the handle isolated to enhance its power. The maximum launch angle with reducing vibration makes it an ideal bat offering comfortable and full control to the player. 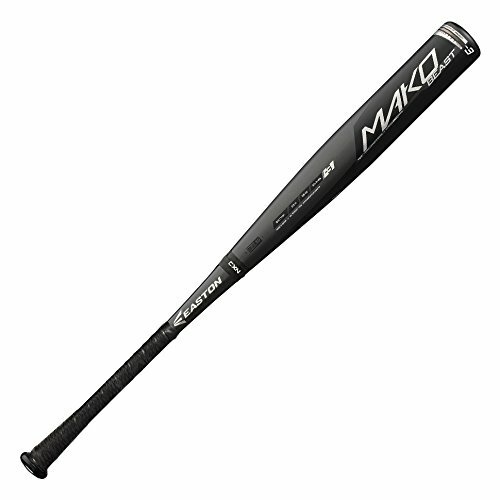 The balance point and barrel length are well-adjusted means this bat is a perfect combo of speed and power. It is the top choice of the power hitters who want to make the name in the game. Negative vibration impact, ring free barrel, increased sweet spot, and maximum power are the top qualities of this new addition in the Marucci BBCOR bat family. 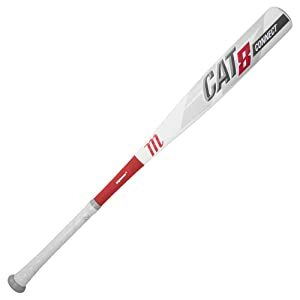 Marucci CAT 8 Connect is among the best end loaded bats that has an ultra-responsive barrel. The aluminum alloy construction offers it great strength along with maximum stiffness to support the full energy transfer to the ball while reducing the vibrations of the hands. It is a two-piece hybrid bat having extended shock dissipating connection with professional styled handle. It is one of the best end loaded bats available in the market today. 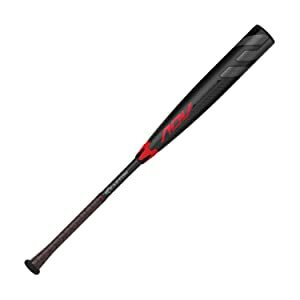 This bat lies among the best balanced BBCOR bats because of its powerful 3 pieces composite design that provides balanced swing weight with optimum speed and power. Louisville Slugger 2019 Meta Prime with the drop ratio of -3 is a perfectly manufactured stiff feel construction that greatly lowers vibrations and produces the ‘truest’ sound in the game. It has the monster barrel with an extra half inch length barrel design. Completely made with composite material, the bat offers light swinging with the toughest feel on both sides – inside and outside. To provide comfort to the hands and toughness to the ball, it comes with new LS Pro comfort grip. Available in different sizes, it has a stunning design as well. Fastest swing weight, stability, and power, the new beast with its longest composited barrel is the best two-piece bat present in the market today. The power of MAKO is incomparable and could easily be felt in every hit. Easton knows how to make hitters happy. The bat offers maximum energy transfer when the ball touches it barrels which could be the enjoyed perfectly by the hitters. The handle has a 1.2 mm that allows the players to be comfortable while carrying the bat. The barrel has the drop of -3 with the barrel diameter of 2 5/8”. This is the classic choice of the Aluminum barrel bat lovers with the weight drop of -3 and amazing swinging and hitting properties. DeMarini names could not be neglected when it comes to the best drop -3 BBCOR bats. The Voodoo One Balanced is the perfect combination of the aluminum handle and aluminum barrel with the beautiful design and power. It optimizes the player’s ability and takes the game to the new level. Ideal for the players of the high school and college, the barrel diameter is 2 5/8 inches. It is said that “your swing, your choice”, you are provided with four different sizes of this bat. Initiating from 30-inch to 34-inch, you can select the one most appropriate. The RCK knob makes this beast rest under your grip comfortable so you can swing and hit at your best. With the best combination of balance, flex, performance, and distance, Rawlings never fails to inspire the player. The Quatro Pro is the carbon fiber composite bat by Rawlings. I selected it basically because it has everything that a player requires for the awesome play. Its perfect engineering makes it pro in performance and balance. The bat is designed technically in a way that barrel and handle combination accelerates the bat speed readily through contact. It is certified for NCAA and NFHS with BBCOR .50. With the vibration dampening technology, vibrations are much reduced for an amazing game. Available in four different lengths and weights, the player could select the one that suits him best. With the bigger barrel, a faster swing and larger sweet spot, this is one of the best composite BBCOR bats available in the market today. 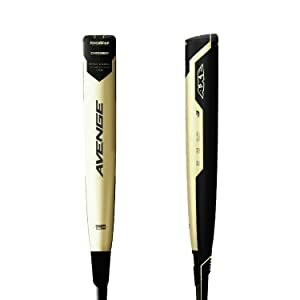 This Avenge bat is created using a 3-piece composite. This baseball bat has balanced construction with 2-5/8″ barrel. To maximize the batting speed along with full barrel control, its axe handle offers ideal swing. The tip of the bat does not have any unneeded weight due to its composite HyperWhip End Cap. To further improve the smoother swing, it has a new vibration canceling system along with shock absorbing Endogrid technology. Its 270-degree engineered hitting zone allows better performance without rotating the bat’s barrel. The bat is perfect for the players who want to enjoy playing with fast swinging bat having the latest technology. Let’s have a look at some questions people have about the BBCOR bats. 1. Does BBCOR standard change in the near future? The latest change in the BBCOR standard occurred in 2018 in which barrel size is now set to 2 5/8″ which was 2 1/4″ previously. The rule has been changed only for those leagues that are governed under Little League International. No other changes expected in the future and most travel ball, recreation, and USSSA leagues remain untouched. Another one is a pop restriction which is measured at a 1.15 BPF (Bat Performance Factor) which has now reduced to .50 BBCOR standards. 2. How BBCOR and BESR bats are different? BBCOR and BESR are different by their ways of detecting and scoring performance of the bat. Basically, they both are similar and the main difference lies in the way the calculation is carried on. Mainly BBCOR bats are lower performing than BESR bats because of the minimum 0.50 score according to the standards. 3. Do wood bats require BBCOR certification? If the wooden bat is one-piece solid and abides all the rules of the Little Leagues then it could be used in the game without the BBCOR mark. But a multi-piece wood bat must require a BBCOR certification to get approve for playing. 4. Can BBCOR bats use for a pony and babe ruth leagues? According to the rule of this League, no BBCOR bats are allowed in Cal-Ripken Baseball. Bats having 2 ¼” diameter with the BPF of 1.15 or lower stamps are allowed for PONY League. There is a huge range of BBCOR bats present in the market today. From the big names to small, many companies are producing their baseball bats. However, not every bat is suitable for every player. There are so many factors to consider before purchasing a BBCOR bat. One bat that is ideal for others could not necessarily be the perfect bat to trust in your game. Before purchasing the right BBCOR bat, use my quick guide to make the right decision. 2. How weight and length of BBCOR bat impact to your choice? BBCOR bats are available having the size measuring from 29-inch to 34-inch. Selecting the correct length of the BBCOR bat is crucial for the game. Choosing the right length will provide the perfect momentum which in turn allowed smooth swinging off the bat to hardly hit the ball without producing an impact on the bat. The correct length also makes sure that when the player hits the ball harder, the bat remains fully in his control. The weight of the baseball bats is measured in the term of weight drop. It is the difference between the length and the weight of the baseball bat which for the BBCOR bats should be – 3. The bat will weigh lighter when the drop weight is bigger. The length and the weight ratio of the bat decide the fate of the physics of swing and provide the right balance while playing. 3. One-piece and two-piece – which one is the best? Construction of the BBCOR bat could be one-piece or two-piece. One-piece bats: They have a solid continuous construction using a single piece of metal. Power hitters prefer to use them as very little power is lost when the ball comes in contact with the bat. Two-piece bats: It has two-piece construction having a handle and a barrel which are strongly held together. Both are great and it solely depends on the player’s choice. These bats have a traditional feel and might also have one piece of construction. Another name for them is alloy bats. When the ball is hit, they take a strong impact and the player knows where the ball will go. These bats use reinforced Carbon fiber polymer or composite. They are more durable, have improved trampoline effect, ideal weight distribution and increased damping rate. They are quite forgiving when the ball does not hit the sweet spot. Wooden bats are made from different forms of wood. Maple is one of it and makes the toughest bats. They are the stiffest among all kinds of BBCOR bats and mainly used by the professionals. When the wooden bat is used in combination with others, only then they require BBCOR certification. 5. The most popular “drop” in bbcor bats and why? The difference between the length and the weight of the bat is called the drop. The lower drop means the bat is heavy and the higher drop means the bat is lighter. According to the BBCOR standards, the bat should have the minimum of drop -3 and it is considered to be the most popular and the best drop weight because it allows an easy transition to the more professional bats in the future. These bats offer perfect swing with ideal bat speed. Youth players who don’t adapt to the right drop weight earlier face problems during the selection of the future leagues. A barrel is the thickest part of the bat and it is where the ball touches the bat. A bat will be called a hybrid when the barrel and the handle are not made from the same material. Alloy bats have smaller barrel than composite, and the wooden bats have the smallest. It is up to you to select the one that you feel to be more powerful. Handle construction is also a matter of personal choice as it is a part that is in direct contact with the players’ hands. The comfortable material provides a smooth grip. Many metal bats have rubber or tapes grip due to the wrapping of the handle area because metal bats tend to get cold in the lower temperature. 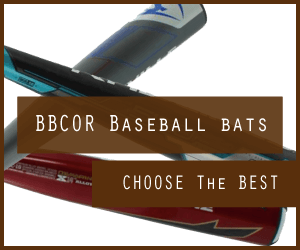 I hope my complete guide of the best BBCOR bats would help you in selecting the right bat that will help you enjoy the amazing upcoming game. These seven BBCOR bats are the best performing bats in 2019.